Blackheads are a nuisance. The worst thing about them is that they don’t pop up one or two at a time like pimples. Oh no, these tiny but yucky black spots will make their presence known in large groups, usually localized around a particular area like the nose or forehead so that they can catch your attention (and everybody else’s as well). It’s easy to lose your confidence with a bunch of blackheads on your face. You always feel like people are constantly looking at them and judging you. This isn’t really true, but not looking your best makes you feel like it is. So how do you get rid of blackheads? The best thing to do is prevent them, of course. Good hygiene, regular cleansing, avoiding exposing your skin to environmental pollutants and exfoliating regularly. If you had done that already, you wouldn’t be reading this article. Once your blackheads are gone post using the incredible peel off face masks we’ll tell you about, do yourself and your skin a favor by learning a suitable skin care routine to keep the icky things at bay in the future. For now, let’s get right down to our first peel off face mask for blackheads. Seriously, eggs for blackheads? You bet! Egg whites have the right texture for a really simple homemade peel that will rip out those blackheads in no time. And all you need for your entire face is the white of just one egg! Once you have the egg white separated, whisk it until it becomes opaque. Add about one teaspoon of lemon juice and whisk for a few seconds. Voila! Your peel off face mask is ready. If you don’t have lemon handy, the plain egg will work perfectly well too. Heat half a cup of fruit juice with a tablespoon of gelatin powder mixed in. You’ll have to keep stirring to ensure that no clumps are formed. Do NOT boil the mixture. Just simmer until the gelatin has dissolved completely. Turn off the stove and put the mixture in the fridge for 15 to 20 minutes. The idea is to get it to cool down and firm up, but to still have the viscosity to glide over your skin. Add 1 tablespoon of gelatin powder to approximately 2 tablespoons of milk. Mix well. Now heat this mixture till it is a little hot. Do NOT bring to a boil. You should be able to put your finger in it without scalding. Wear a headband to hold your hair back from your face. While it’s not harmful to get the peel off face mask in your hair, it can be rather messy and difficult to get off so do what you can to avoid it. Wash your face with a soap-free cleanser and pat dry. Use a face mask brush to brush on the peel off face mask in smooth, even motions over your entire face, avoiding the areas around your eyes. If you prefer, you can just apply it to the area where the blackheads are. However, this is a pretty great mask for the health of your skin anyway so it’s a good idea to just apply it all over your face. Depending on the climate and weather where you are, the mask can take anywhere from 20 minutes to half an hour to dry sufficiently to be peeled off. Remember that the point of this mask is precisely so you can peel it off, and you won’t be able to do that if the mask is not completely dry. So don’t be impatient and pull it off before it’s time. You’ll know the mask is dry when you feel it getting really tight around your face and it is no longer remotely sticky or damp to the touch. When the face mask is completely dry, you can start to peel it off. It will not come away in one whole piece. You’ll have to patiently peel off bit by bit. Take a close look at the peeled off bits and you will see for yourself the blackheads that have been pulled off in the mask. It’s an icky sight, but one that will prove that the recipes work. The mask is pointless if washed off so don’t prematurely splash water on your face in impatience to clean up. Once you have gotten as much of the mask off by peeling, you can use a damp face cloth to clean up or wash your face with cold water to help you close your pores. Peel off face masks for blackheads are beneficial in other ways too. They strip away impurities from your pores like dirt, dust and dead skin cells, thus leaving your skin radiant and rejuvenated. You do not need to use a peel off face mask very often. Twice a week (or every three to four days) will work well without harming your skin. If you find the face mask very difficult to peel off, try applying a thicker layer next time. This will make the mask thicker so that it gives you a better grip when it comes time to take it off. Another way to thicken a mask is to apply a layer of tissue paper over the mask and to apply another layer of the face mask over the tissue. This will give you a thicker layer so that you can comfortably peel it off. Try to relax while you have the mask on. Don’t move around too much or talk. A peel off face mask opens your pores to pull out the blackheads. That’s why it is important that you take steps to close those pores again when you wash off the mask. Using cold water is one way to do this. Another is to apply ice cold compress to your face. Fill a bowl with clean, pure water. Put it in the fridge or freezer before you put on your face mask so that it is ice cold when you are done. Dip a face cloth into the water, squeeze out any excess, and press onto your skin for ten seconds at a time. Keep re-dipping the face cloth as it gets warm when it comes in contact with your skin. To make the peel off mask even more effective so it can pull out more blackheads, steam your face over a bowl of hot water for about a minute prior to applying the mask. This will open your pores and help the mask to penetrate deeper to get at those more stubborn blackheads. Do NOT apply the face mask over wounds which have not yet healed. Once you have washed off the remnants of the face mask, apply a gentle moisturizer. 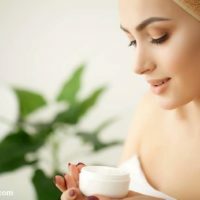 A peel off face mask, or indeed any face mask, is best applied at night so that you don’t expose your face to makeup or environmental pollutants for some time after you are done.